Is it just something you are born with? Is it something you learn and develop? Oh, and what the hell does this have to do with weight loss or fitness? This email might just change your entire week. Yesterday was somewhat of a eery day for me. 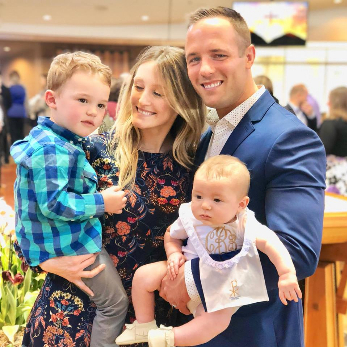 After the 6-week challenge weigh-ins (so fricken pumped for these people) my wife and I drove back to my hometown of Armada, MI for a memorial service for a hero named Jason Friewald. Jason is the oldest brother of the Freiwald brothers. The 4 Freiwald boys and 4 Boudro boys (me and my 3 brothers) were pretty much inseparable growing up. I honestly only met Jason a handful of times as he was a bit older than me, so I didn’t know him that great, but I knew enough to know that he was great. On September 11th, 2008 Jason lost his life in combat while saving the lives of members of his team. Jason lost his life while saving others. He’s the definition of self-less. You can see more on his story here. That video is pretty tough to watch. It’s tough because that guy talking is his father, Rick. Rick (I still call him Mr. Freiwald) is and always will be a huge influence in my life. He’s probably driven me to over 1000 wrestling practices growing up & he was in my corner for almost every wrestling match of my high school career. He was like a second dad to me in high school. Rick is also is one of most self-less people you could ever meet. 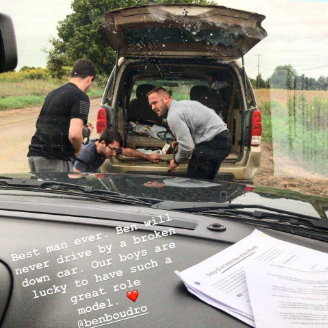 On the many car rides to practices I always noticed that If there was ever a person broken down on the side of the road, he would ALWAYS stop and help. No matter how cold it was outside, rain sleet or snow. So as my family and I were on our way back home back to Lake Orion, we witnessed a van in front of us get a flat tire. It was 5:40 PM & my wife wanted to get to Costco by 6:00 before they closed. We saw the flat happen. I got out and helped them fix it. Boy am I glad that I did. Neither kid had anybody who they could call as both of their parents were out of town. All I could think about while fixing the flat was Mr. Freiwald and Jason. It was just so eery how the timing was. The situation reminded me just how important it is to be self-less. Self-less in not only with helping people but also helping myself. In a very strong way, working out is a self-less act. Most people think that taking the time to work out, spending money on a gym and hiring a trainer is a self-fish act. When you work out, eat healthily and take care of yourself, you are making yourself more able to take care of others. Take a look again at that list. Now tell me, do any of those benefits help you in situations where you need to help others? Self-less people are created from Self-less environments. Xceleration fitness is truly one of the most self-less environments I’ve ever been in. Everyone is there to help each other and lift other’s up. It’s really why I think we were named the Best Gym in Metro-Detroit this year. You can increase your ability to be self-less through fitness. 2) Am I putting my self in the best situation to become self-less? 3) Am I using my fitness program to not only lose weight but to make this world a better place? Only you know those answers. And only YOU can control what you do with today and this week.